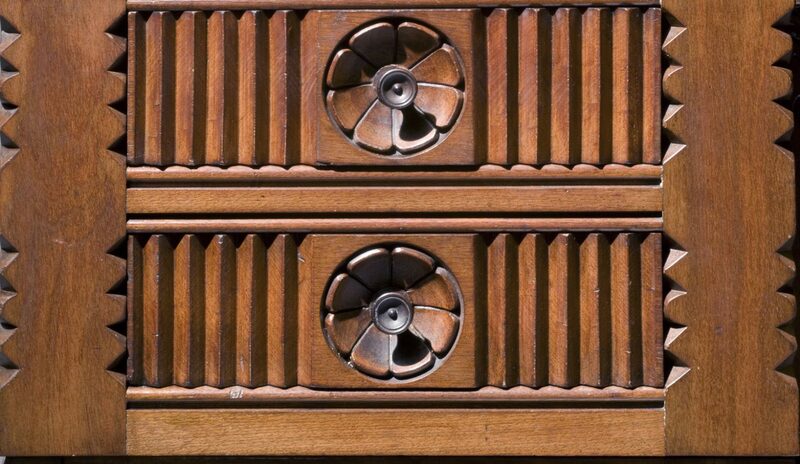 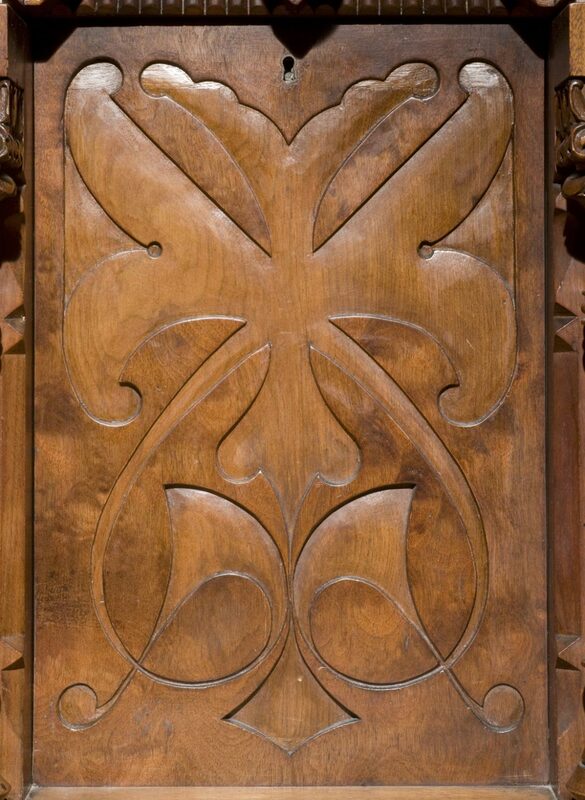 Designed by Frank Furness, American, 1839 - 1912. 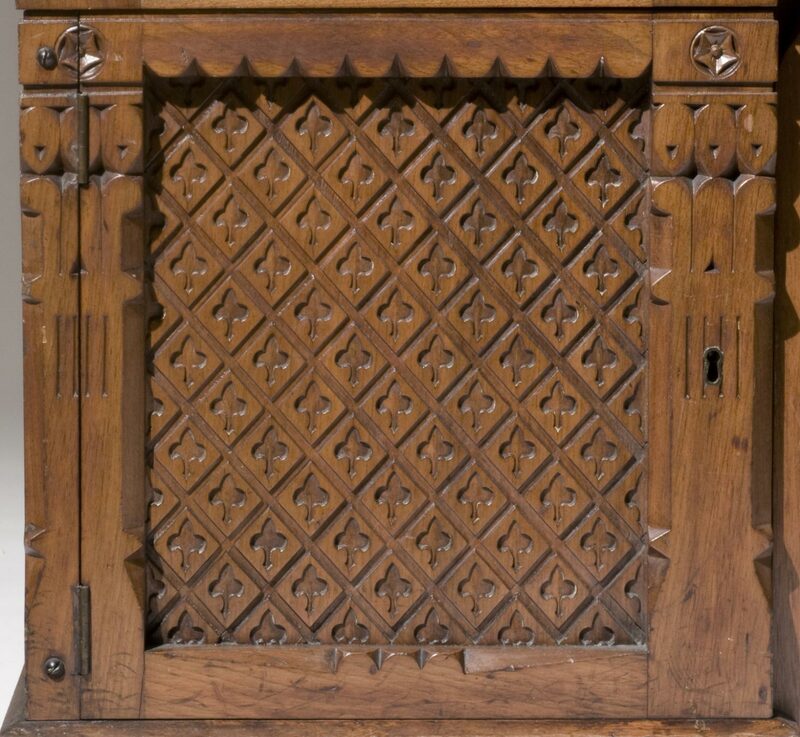 Made by Daniel Pabst, American (born Germany), 1826 - 1910. 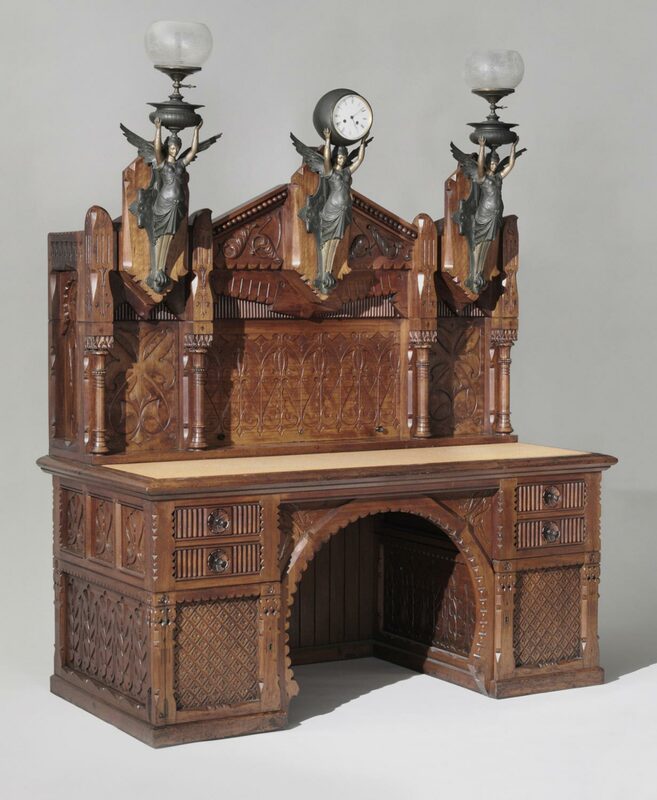 Created for his brother Horace’s study, this desk embodies Frank Furness’s rejection of historicist design in favor of a bold and unorthodox juxtaposition of architectural forms. 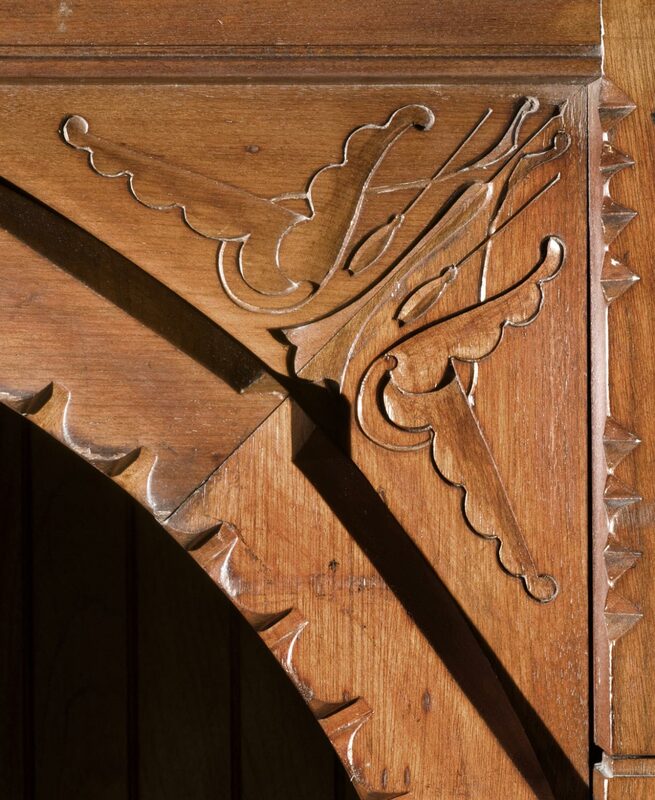 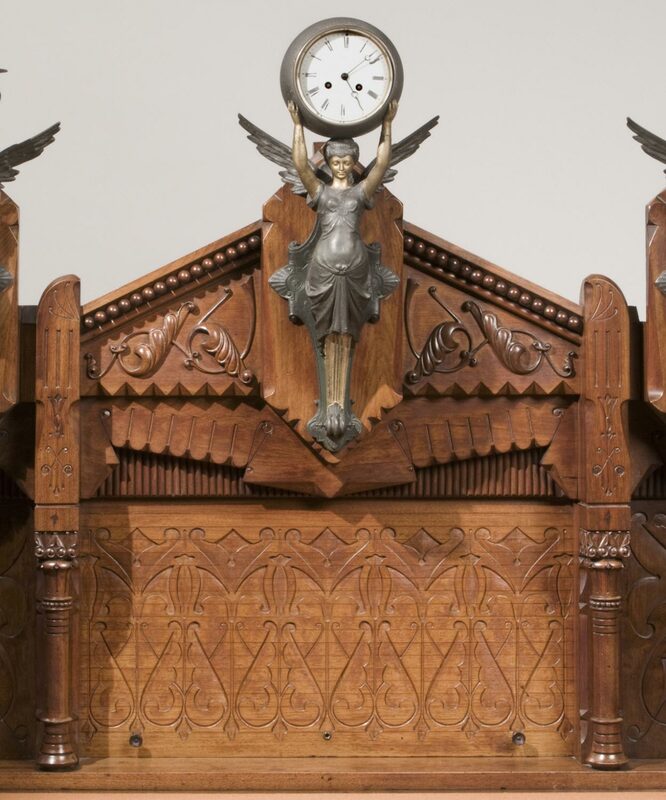 The horseshoe arch as well as the stylized patterns and dynamic interplay of intaglio (incised) and relief carving are details that Furness also used in his buildings, including the Pennsylvania Academy of the Fine Arts on Broad and Cherry Streets, completed five years after the desk. 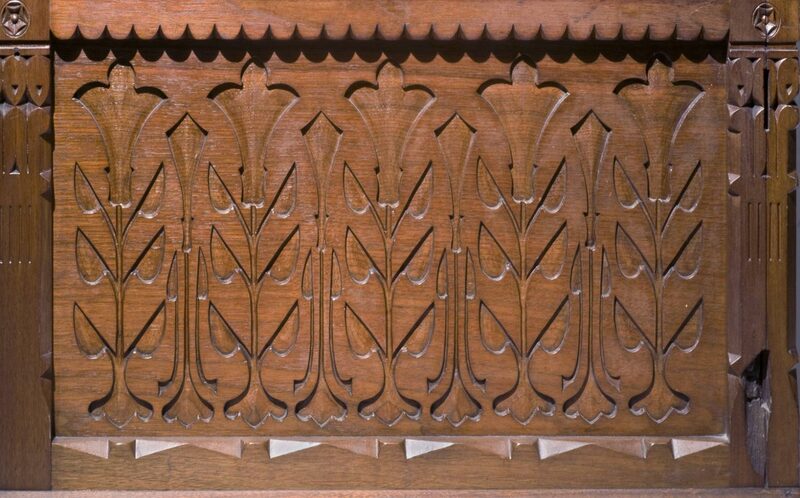 The incised ornament echoes the stylized natural forms made popular by British designer Christopher Dresser (1834–1904).